Nina is a yoga teacher and Occupational Therapist back in her hometown on Cape Cod after spending a few years in San Diego, California. Nina initially came to her mat as many former dancers do, seeking a new method of movement and creative expression. While living in Boston, Nina became a dedicated student of yoga and completed her first 200 hour training at South Boston Yoga. 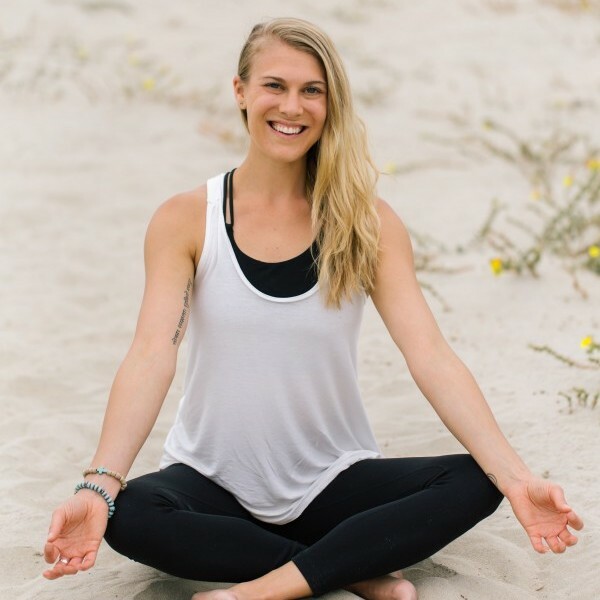 After arriving to California in 2013, Nina began studying at depth with her teacher and mentor Annie Carpenter of SmartFLOW yoga completing her 500 hour SmartFLOW certification. Under the guidance of Annie and exploration of SmartFLOW, the practice became much deeper than the postures, but rather an inquiry to connect and to understand to who she is in this moment. Nina practices in a way to produce the best version of herself, striving in her own practice to choose compassion over the ego to cultivate more kindness, more truth, more acceptance and more patience towards herself so that she can be and give these things to others. Her intention is to provide challenging yet compassionate space, creating an environment to curiously explore the postures, inviting students to slow down, pause, and pay attention. By teaching aligned awareness in the body guided by the breath, her hope is to empower and educate students to wake up to the beauty of the present moment and to practice in a way that produces the best version of themselves. Read a Q&A with Nina here.